Paige's Page: Do you see what I see? Re-watching the awesome new commercial from KingsIsle Entertainment, Inc you-tube page. I got to looking at the background image. 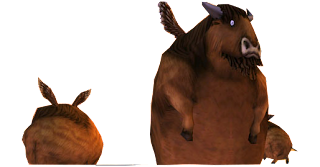 I do not know about you but I see mounts! That's right Pirate101 mounts. Look at these 2 very closely. 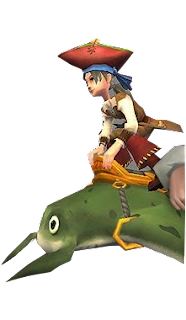 We have seen the Manta ray mount before in Celestia -Wizard101. It was blue in color in Wizard101. Does it have a seat? I cannot wait to see pirates flying around on this Manta Ray mount. Wonder if they will be added to game or not, what do you think? Now this other picture really caught my eye. We have all seen the turtle mount in Wizard101 . I want you to really look at this image. Remember the post I made on Mooshu and those really cool ships? Does this turtle have a sail? Could we be flying on turtles? Oh my I would just have the best time flying on a turtle mount. 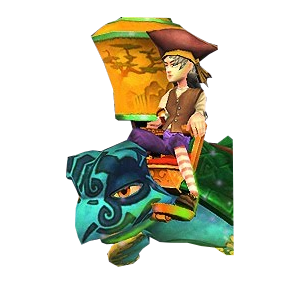 Do you think there will be Flying turtle mounts in Pirate101?? Hope you had fun reading this fun take of some things I seen on different KingsIsle sites and until next time. I would do nearly ANYTHING for that supposed turtle mount!! 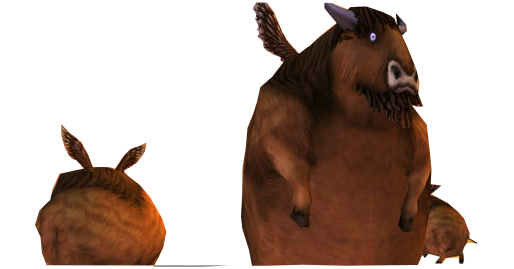 I'd love to take a ride on a buffaloon! Can you please add me to your blogroll? Piratesinthesky.wordpress.com ! Thank you!